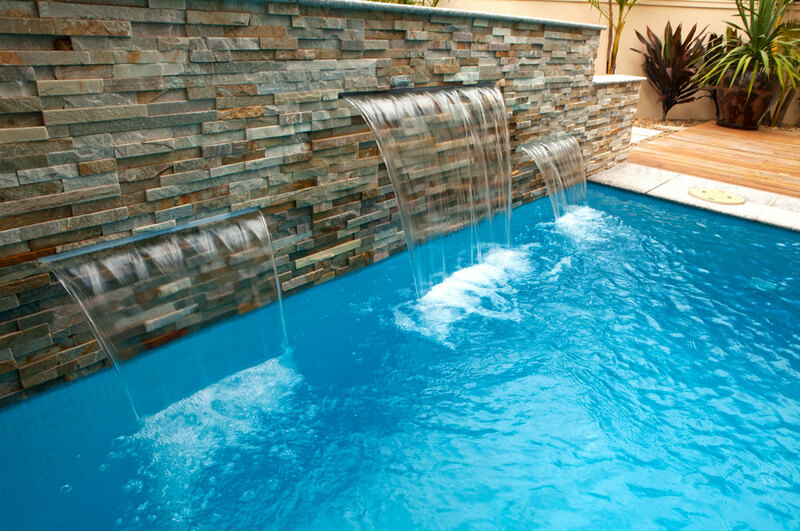 This luxurious indoor outdoor pool is the heart of an ultra-modern home. 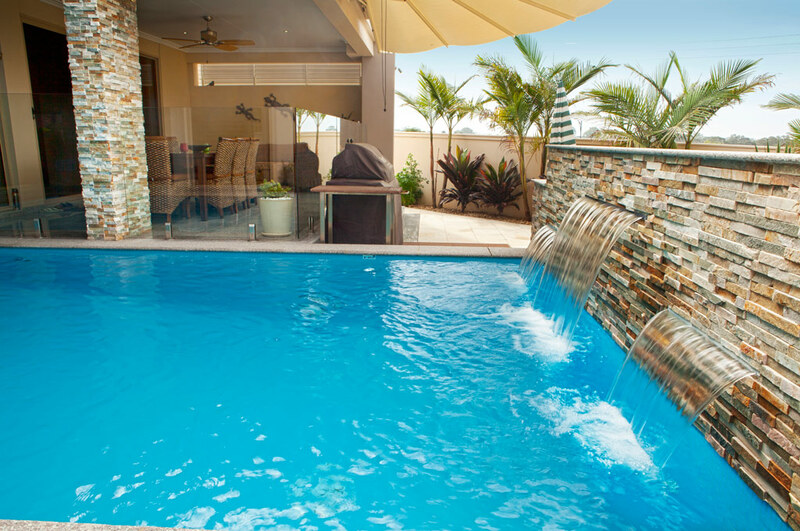 An entertainer’s delight, it is an oasis of relaxation surrounded by beautiful, Mediterranean-style landscaping. 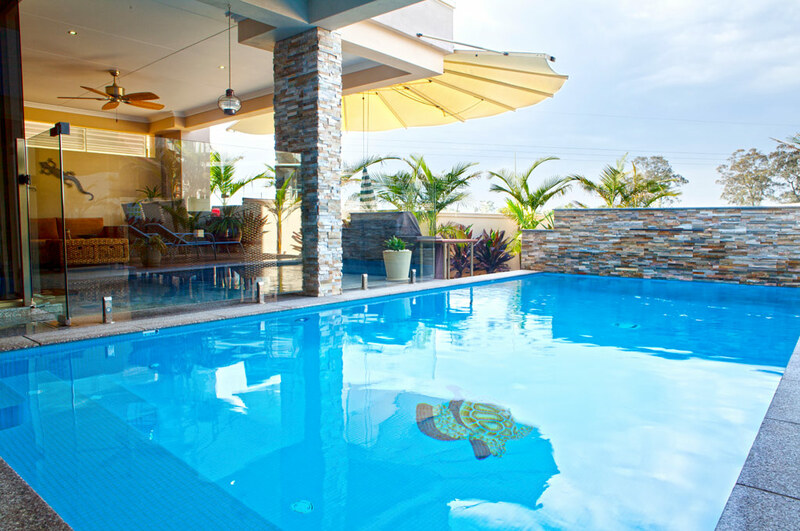 Two sides of the pool adjoin the house and half the pool shelters under the roof, with an alfresco area creating relaxed indoor-outdoor ambience. 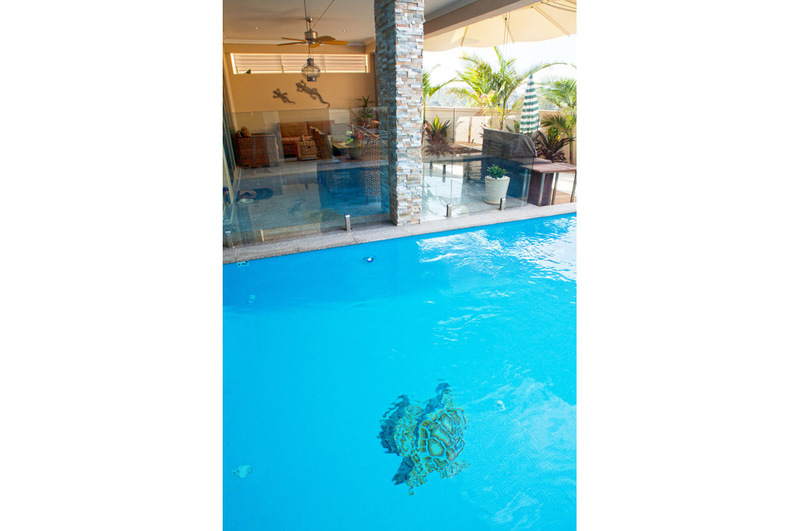 In keeping with the style of the home, the floor of the pool is accented with a tiled mosaic turtle motif, with further mosaic tiling features throughout. 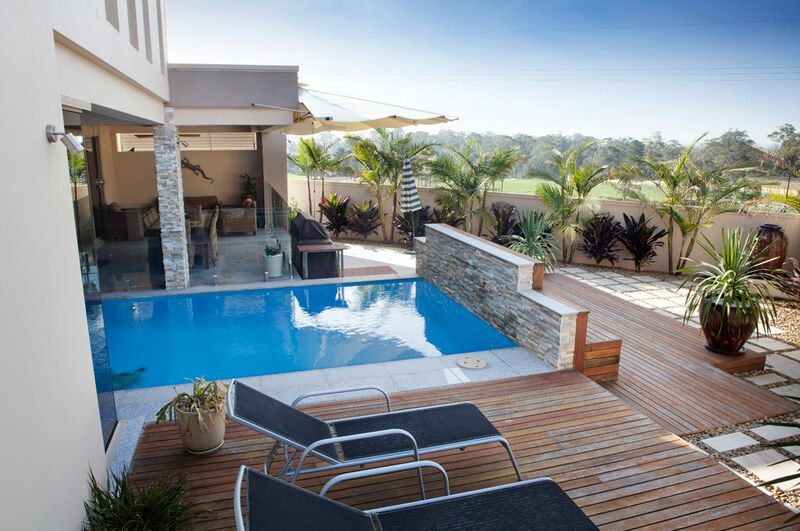 Relaxing space is plentiful, with granite tile coping and Indonesian Merbau hardwood decking. 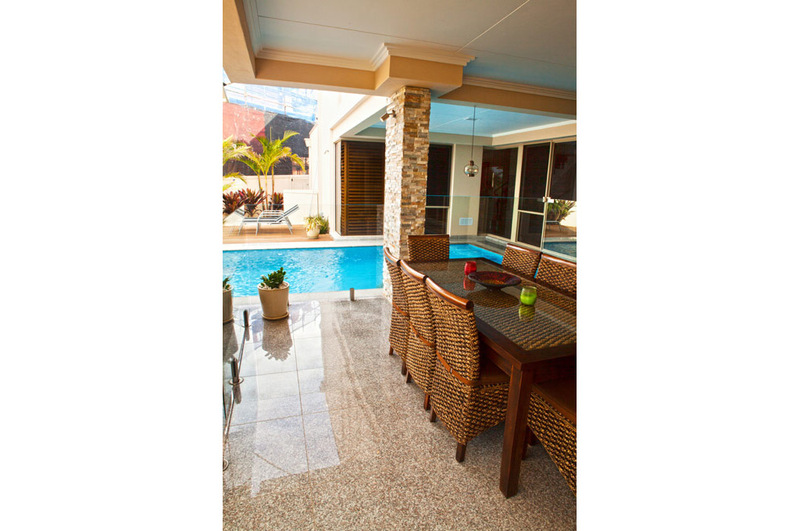 Solar heating and a top of the range in-floor cleaning system keep maintenance to a minimum.